In 1986, the Transformers franchise got its first of many overhauls–the only Transformers movie you should ever watch. For the conclusion of my tribute, I’ve decided to review it. For season 3, Hasbro wanted to take both the cartoon and the franchise in a new, darker direction, as they were discontinuing many toys from the original line. The movie killed off many of these characters, including Prowl, Megatron, Optimus Prime (more on these two in the next paragraph), and Starscream (who would later come back as a ghost). 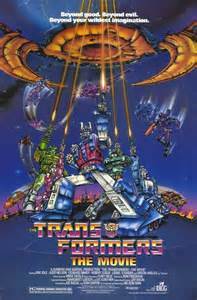 The movie also introduced quite a lot of characters, including Wheelie (ugh), Wreck-Gar, the Quinticons (who would become more important in the actual show), Galvatron, and Hot Rod. It also introduced the villain Unicron, who was basically the Galactus of the movie. 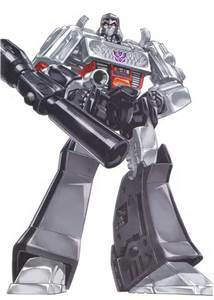 Megatron was converted by him into Galvatron when he found him adrift in space after being mortally wounded by Optimus. He used this new lease on life as Unicron’s “herald” to exact revenge on his foes, especially Starscream. Meanwhile, Ultra Magnus is temporarily elected as leader before it’s discovered that Hot Rod is destined to be the new leader. When Hot Rod takes the Matrix of Leadership (which Unicron covets), he becomes Rodimus Prime, and gains the power to destroy Unicron. So why is this movie such a big deal? First of all, the movie was animated by Toei, the oldest animation studio in Japan (makers of Dragonball Z and Sailor Moon). Toei had also done the in-betweens and cleanup work on the actual show. The movie had a much bigger budget, causing the animation to become more defined in the movie. Secondly, the voice talent was excellent. Not only does it have mainstays Peter Cullen, Gregg Berger, Chris Liotta, and several others from the show, but there were some big-name stars as well. Unicron was voiced by none other than Orson Welles. Welles was the man back in the early days of radio and movies. Perhaps his most famous accomplishments were creating Suspense, the infamous War of the Worlds radio play, and The Shadow. He also created the landmark movie Citizen Kane. Unicron was his last role, as he died soon after the movie was finished. 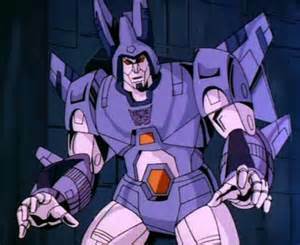 Galvatron was voiced by Leonard Nimoy. (if you don’t know who Leonard Nimoy, that’s one impressive rock you’re living under since it has Internet access.) Wreck-Gar was voiced by Eric Idle of Monty Python fame. Then there was the music. Like many movies from the 80’s, it was a great soundtrack. It had Stan Bush’s “The Touch”, which is one of my all-time favorite songs. There’s also his other song “Dare”, which is also great. For some strange reason, you also hear “Dare to Be Stupid” by Weird Al when the Junkions and their leader Wreck-Gar show up. I never understood this inclusion. Nothing against Weird Al, but the song just seems out of place with the others I mentioned. Critics everywhere have panned this movie. My problem with that is that critics are always expecting Shakespeare. Transformers wasn’t meant to be Shakespeare. I scoff at the criticisms of the Transformers cartoon as an overlong commercial. Hasbro is a toy company. They’re a business, and in my opinion, they’re not nearly as bad as some other companies out there. 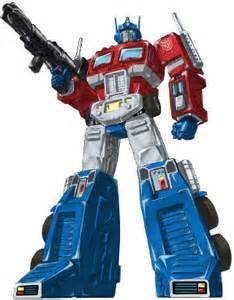 As a child, I thought Transformers was the best toy line ever, second only to He-man and the Masters of the Universe. I may not be as big a fan as I used to be, but I am glad that the Transformers was a part of my childhood. I’m sure you’ve heard the line “One man’s terrorist is another’s freedom fighter.” Well, in the case of the Decepticons, that line doesn’t apply. The Decepticons were great villains for the show and I had so many favorite villains. Here are 10 of them. 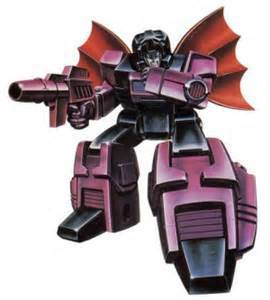 Skywarp was just one of several voices Frank Welker had on the show, and one of the best. 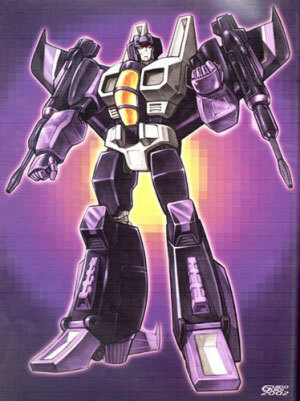 What made Skywarp so cool? 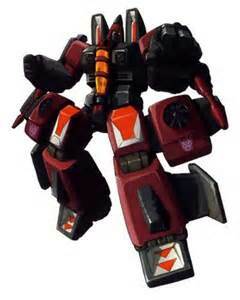 Not only was he one of the most cunning members of the Decepticons, but he could teleport! I loved the way he got the jump on the Autobots with this talent. Fun fact: Check out Frank Welker’s LOONG list of characters he’s voiced over the years. The man is amazing! Soundwave had, IMHO, the coolest voice on the show. That booming filter was just creepy to listen to. Not only that, but he was a freakin’ army! He had several cassettes all ready to do his bidding: Ravage, Lazerbeak, Buzzsaw (who eventually “disappeared” from the show for some reason), Ratbat, Frenzy, and Rumble. 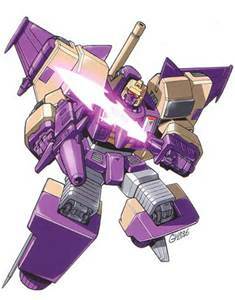 Blitzwing was one of several “triple-changers”, meaning he had not one, but two alternate modes. The thing that bugged me was that I knew there were Autobot triple-changers too, but we almost never saw them on the show. Blitzwing was my favorite of the triple-changers. Come on, he’s a tank! What’s not to like? Hoo boy, was Thrust ruthless. This was one Decepticon you DIDN’T want to cross. I want to take a moment to talk about the Transformers comic book Marvel ran. In the Headmasters mini-series, we met Mindwipe. This evil Headmaster (the Headmasters had separate partners who transformed into their heads, hence the name) had the ability to hypnotize people and Transformers. Hypnosis is one of my favorite abilities, so I thought he was a great villain. 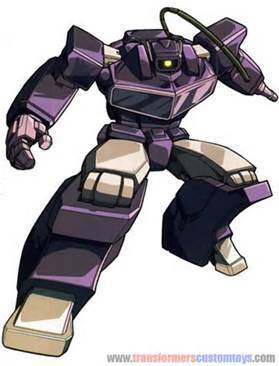 Cyclonus was one of three Decepticons introduced in the movie, along with Scourge and of course Galvatron. Of the three, Cyclonus was the one I liked the best. 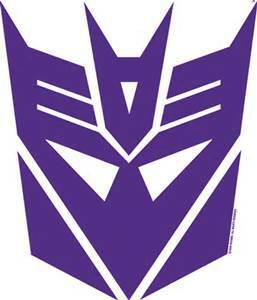 He was the most ruthless Decepticon ever and was fiercely loyal to the cause. Did you really think I’d forget one of the true fan-favorites? 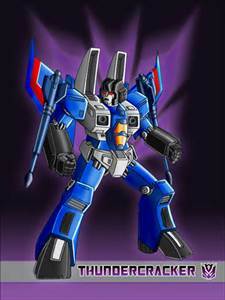 Thundercracker was one of the best ever! I mean, even his name sounds like something to fear! Shockwave was a Decepticon you watched very closely, because you just knew he was looking to take over sooner or later, but unlike Starscream, he bided his time. Fun Fact: Corey Burton has a pretty impressive resume. Among his roles include Thomas Wayne (Bruce Wayne’s dad), Dracula (TWICE! ), and Jaga in the very underrated reboot of Thundercats. Aw, yeah! 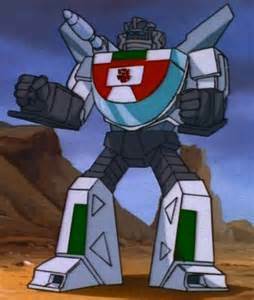 Megatron was Frank Welker’s best character. A smug talker who had some of the best moments in the show. He was a worthy opponent for Optimus Prime, and showed us just why we should fear him. Especially when he turned into Galvatron. But more on that next week. 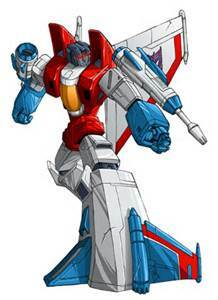 I just loved Starscream. It was fun to watch him constantly backstab Megatron and try to usurp his position as leader of the Decepticons. He would stop at nothing to achieve his goal, and he finally did become leader…for about 20 seconds before Galvatron practically obliterated him in the 1986 movie. But death couldn’t stop him. He came back in the show as a ghost and still managed to be a thorn in Galvatron’s side in his numerous attempts at revenge. Sure he may not be able to defeat Rainbow Dash, but I still love this dude. Fun Fact: Back in the 80’s if a cartoon had a backstabbing villain, chances are Chris Liotta did the voice. He was also Decompose on Inhumanoids (One of the scariest 80’s Saturday morning villains ever!) and Cobra Commander himself. Next week: I conclude my Transformers tribute with a retrospective of the Transformers 1986 movie. The Transformers franchise is now 30 years old. It’s my favorite toyline from the 80’s. To celebrate, I’m counting down my favorite Autobots and Decepticons. Let’s start with the Autobots. 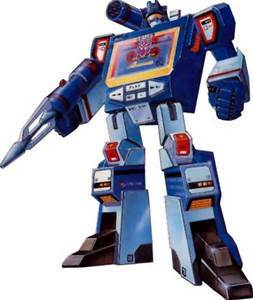 Blaster was the Autobot counterpart of Soundwave. I loved how rebellious he was. 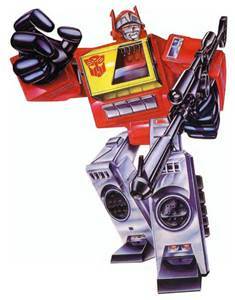 The thing that bothered me the most about Blaster is we almost never saw his cassettes, but we saw Soundwave’s all the time. (alt. 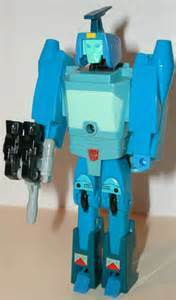 mode: Cybertron Car VA: John Moschita) Ever wonder why Blur talked so fast in the cartoons? It’s because he was voiced by John Moschita, a man famous for talking super fast. Don’t believe me? Just watch this Micro Machine commercial. 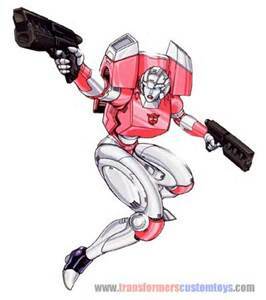 Arcee was one of the few female Transformers we saw in the cartoon. To this day, the franchise still has few females. It kinda makes you wonder why they created them in the first place. (alt. 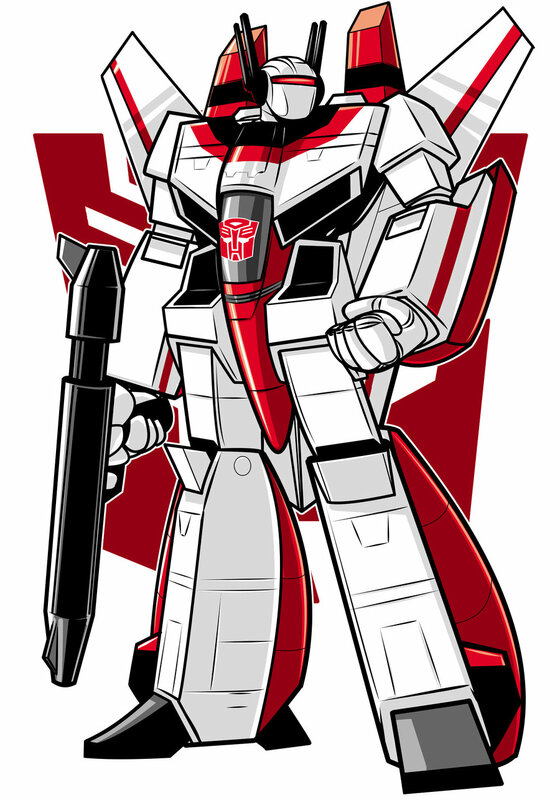 mode: Jet airplane VA: Gregg Berger) Jetfire makes this list because he’s the only Autobot who’s a former Decepticon. 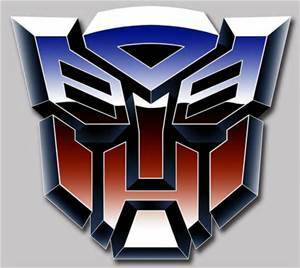 I thought it was great that the cartoon showed that Transformers could change their allegiances. (alt mode: Race car VA: Chris Liatta) Wheeljack is the brains of the Autobot team, and I always rooted for the brainy member of the heroes team. He was one of the most entertaining members of the team, mostly because he was the closest thing to a heroic mad scientist I had ever seen. (Alt. 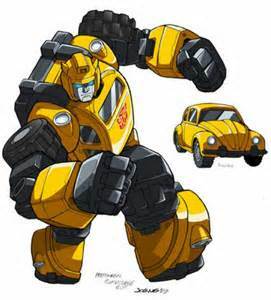 Mode: Volkswagen Beetle VA: Dan Gulvezan) Bumblebee may seem small, but he’s not to be trifled with. What’s even better is in the original cartoon, we had the same guy who voiced Spider-man from Spider-man and His Amazing Friends play Bumblebee. (alt. 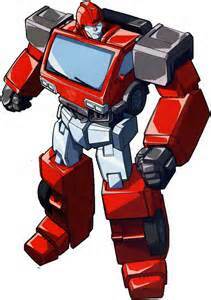 mode: Van VA: Peter Cullen) Ironhide is a battle-hardened veteran of the Autobots. I had this toy and my favorite thing about it was separating his back half and revealing his missile launcher. (alt. mode: Car carrier VA: Jack Angel) I liked Ultra Magnus because of how he was portrayed in the movie. He was nervous about the big shoes he had to fill as new leader (until Rodimus proved to be the better one, but we’ll talk about that later) I think anyone would probably be nervous in his position. The toy version was one of the best toys in the line, even if it was one of the most difficult ones to manipulate into robot mode. (alt mode: Race car VA: Scatman Crothers) Jazz is the most laid-back member of the Autobots. His VA also voiced Hanna Barbera’s classic 70’s superhero, Hong Kong Phooey, and was actually a jazz singer himself. (alt. mode: Semi w/tractor-trailer VA: Peter Cullen) Come on, don’t tell me you’re surprised he’s number one. He’s the Autobot leader and the best one they ever had. A true father to his men, who listened to the opinions of others before forming his own and always provided an ear to any who needed them. 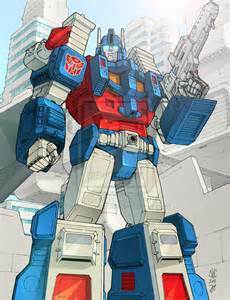 His toy was similar to Ironhide’s, with a separate attachment for the trailer that revealed a missile launcher and a 6-wheeled vehicle called Roller, which was used for surveillance. When I made up Transformers stories, my Roller talked like R2D2, with bleeps and blips. I found out Autism Speaks has a short movie out called Sounding the Alarm: Battling the Autism Epidemic, which is available on Netflix, iTunes, and GooglePlay. You can consider this a sequel to my previous post about them, The Truth Behind Autism Speaks”. They are not worth your money, and frankly, I am sick of them owning the narrative about autistics. These people do NOT wish to help autistics. They want to cure them. In fact, the word “cure” is said twelve times in this movie. To them, autism is a disease, hence the subtitle of the movie, “Battling the Autism Epidemic”. This is not the first time that their propaganda has actually shown you their true motives. Polio is a disease. Smallpox is a disease. Influenza is a disease. Autism is not a disease. It is a disability. The movie even admits that children don’t die from autism, so really what’s the problem here? Disabilities are challenges to be overcome, not eradicated. One of the families in the movie, says she just wants her boy to say “I love you.” The boy actually does so, sort of, (it’s kind of slurred), and even hugs her. I wanted to say to her, “there’s a thing called non-verbal communication. Your child just said I love you both in word and in action.” Isn’t that enough? I’m posting a link to the infamous “Autism Every Day” YouTube video that Autism Speaks produced and is still available. This is another video that shows us what they are truly about. Fast-forward the video to the 6-minute mark. There you will see a mother say she wants to kill her autistic daughter and herself, but says she can’t because she will abandon her other, “normal” daughter. Notice that she is saying this while her autistic child is standing right there having a meltdown. Yes, it’s possible that the child can’t even understand her, but that’s beside the point. SHE IS SAYING THIS RIGHT IN FRONT OF HER OWN CHILD! “Sounding the Alarm” has a similar scene, this time with an adult child who also has Down Syndrome. It’s not until towards the end of the movie that we finally meet someone on the high-functioning end of the spectrum. But even this man, who has his own job, is not presented as a happy story. His parents worry what will happen when they die and we never see any happy moment for him. 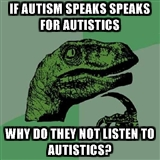 Autism Speaks does not speak for autistics. They refuse to listen to us. Get the word out. Not long ago, I reviewed Daven Anderson’s first book in his Vampire Syndrome trilogy. Well, here is the man himself, who agreed to let me interview him for my “One Faith, Many Paths” project.